Everyone seems to be coming to Portugal right now. So much so that, for the first time, Portugal has won the title of leading destination at the “Tourism Oscars” World Travel Awards. 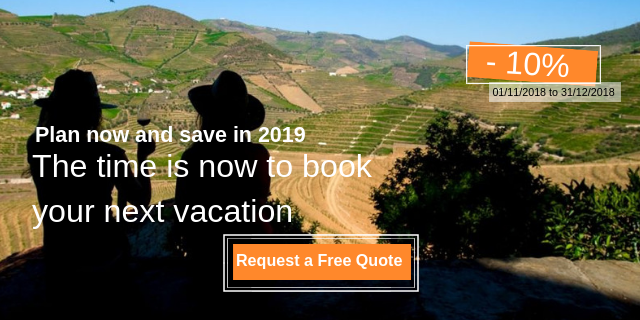 If that alone is not enough to convince you, we give you a handful of reasons why you should definitely not skip visiting Portugal in 2019. A UNESCO World Heritage site since 2001, the Douro Valley, in northern Portugal, is finally coming into its own. 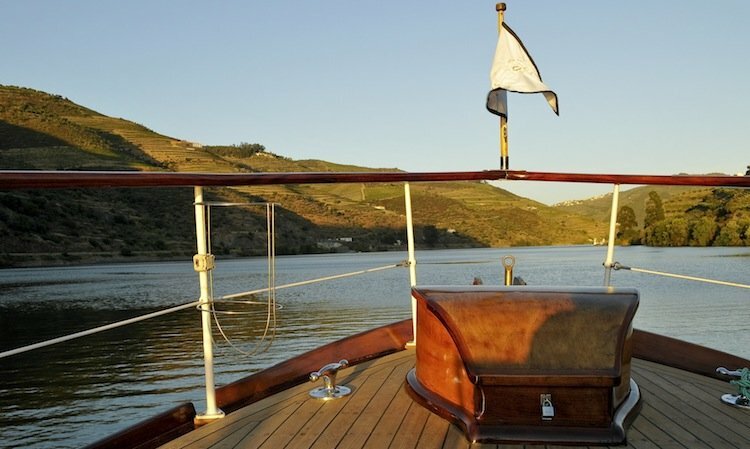 However, when it comes to wine, the Douro Valley doesn't need much of an introduction. After all, it is the oldest demarcated wine region in the world, particularly famous for Port wine, though it also produces a number of other world-famous reds. The river is the defining feature, winding from the Spanish border to the sea, with wine producing country estates and rows of terraced vineyards carved into the mountains. The journey upriver is one of the most scenic routes in the world. Near Port wine town and cruise centre of Peso da Régua, you'll find Quinta da Pacheca, which stands out as having been the first to bottle wine under its own brand. You can take a vineyard tour here, enjoy a tasting and, during vintage, watch the various stages of winemaking. They even provide picnics, complete with wine, and cooking workshops. 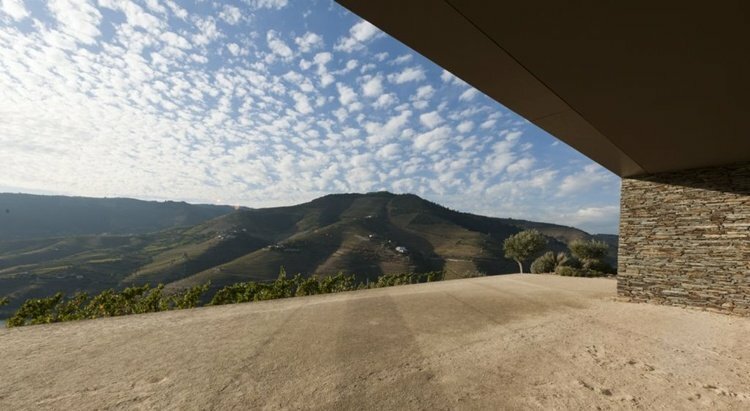 Beyond this point, the main stop is the beautiful wine town of Pinhão and, across the river from it, is Quinta do Seixo, where the well-known Sandeman winery combines state-of the-art cellar technology with great wine experiences. Best yet, the view is absolutely breath-taking throughout the year! 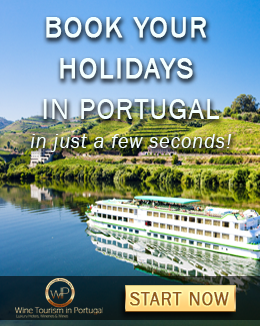 For a longer and more complete experience, you can choose our 3-day wine tour with a Douro River cruise - or a 5-day tour - which takes some local staples and bakes them together for an absolutely unforgettable vacation. Porto has never been so popular. For the third time last year, Portugal's second city has won the title of Best European Destination. It is safe to say that it is definitely one of the cities to visit in this upcoming year, but why? Standing as one of the most eclectic destinations in Europe, it has something to offer to everyone: historic splendor paired with a contemporary buzz, outstanding views, architecture - with one of the most beautiful train stations and bookshops in the world - wonderful food and wine. Graham's Port Lodge alone will give you some of these in one sit. 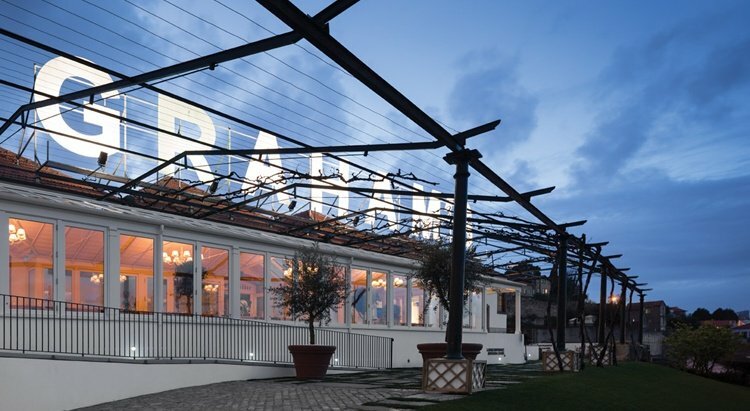 Their magnificent lodge is situated on a commanding ridge across the Douro River from Porto, affording spectacular views of Porto’s historic city centre. 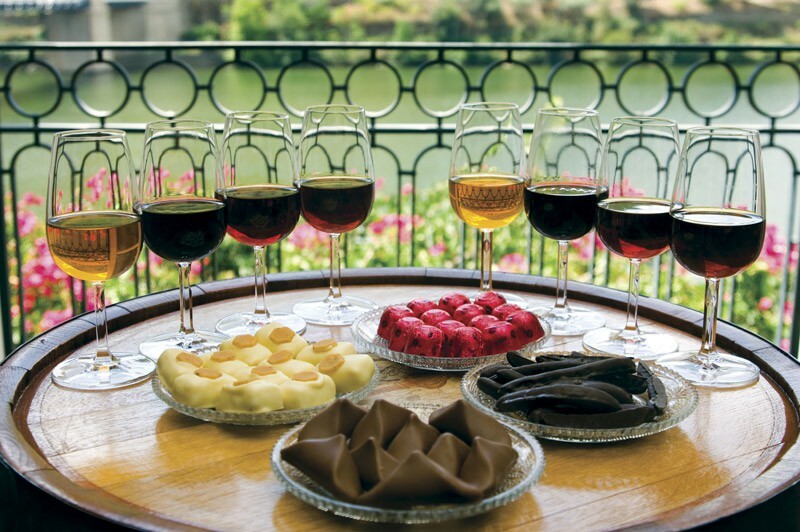 No visit to the lodge will be complete without a wine sampling. Go with one of the many premium Port and Tawny tastings. You'll find that the most difficult will be to make a choice! Not far, you'll find Espaço Porto Cruz. This contemporary project was created with Port wine in mind, as a place where visitors can explore all things related to the production and culture of this traditional commodity, taking advantage of their multimedia resources. While there, you can also sample some wine paired with chocolates and cheese, or even have lunch or dinner, while enjoying a 360 degrees-view over the city from their amazing rooftop. If there's no way you can narrow your choices down to one of these options, you can always go with a food and wine tour in Porto for double the fun. The Portuguese capital has become unexpectedly fashionable as travelers from all around the world set foot upon this historical yet cosmopolitan city - especially after wining the title of leading city break destination at the World Travel Awards. And there's no better way to know a place than through its food and wine. It doesn't matter what your travelling style is - everyone has to eat! 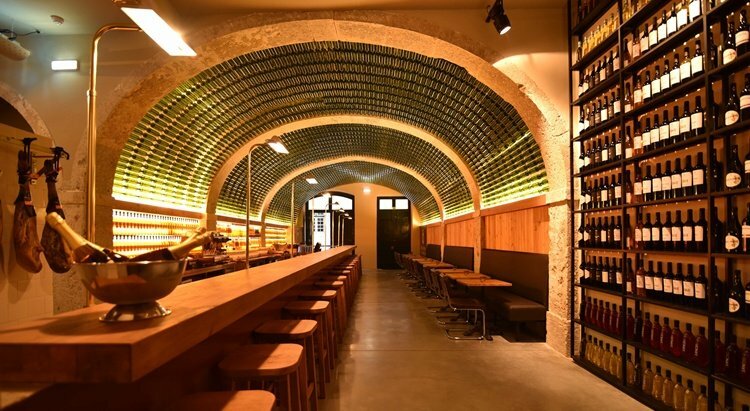 Plan a light lunch or dinner at one of the most popular wine bars in the city - By the Wine - which bottle-covered sealing is nothing short of Instagramable. Pair the incredible wine portfolio of José Maria da Fonseca with traditional gastronomical staples - such as the epic charcuterie and cheese boards - as well as some other edgy options - like the incredible ceviche or quesadilla. There is also so much more to explore beyond the city limits, often just a short drive away. Around the city, one may find some of the most traditional yet cutting-edge wine producing estates in the country. Our full-day tour through Lisbon's wine producing estates will take you through a number of wineries, offering you the chance to sample some of the best wines produced in the region, paired with locally-grown traditional products. You will also have the opportunity to have lunch at one of the wineries - with a breath-taking view over the vineyards - as well as visit the largest Oriental Garden in Europe and the picturesque village of Óbidos. This sun-baked land deserves far more attention that it gets. After all, this region was considered "the best wine region in the world to visit," by newspaper USA Today, as well as named "the new Tuscany" by The New York Times. Even if you don't have that much time, you can still take a full-day wine tour in Alentejo directly from Lisbon and get a glimpse into what this wonderful region has to offer. 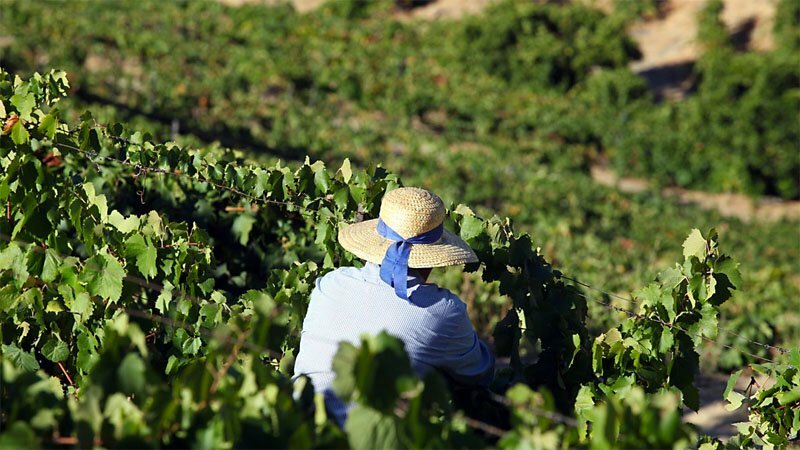 Alentejo has confidently taken its place as an area of outstanding wine production. It is no surprise, then, that its wide estates and wineries are an underlying part of the region's strong culture and identity. Located a short 10-minute ride away from Évora - Alentejo’s main city and a university town - Adega da Cartuxa - is just one of the many traditional wineries which have opened their doors to curious wine enthusiasts. While there, you will have the opportunity to taste some of its best wines - as well as sample some olive oil - paired with charcuterie, cheeses and locally produced jams. If you are looking for the opportunity to spend the night at one of those incredible wine estates - without renouncing to the most exclusive comforts granted by modern-day resorts - we have the perfect pick for you. 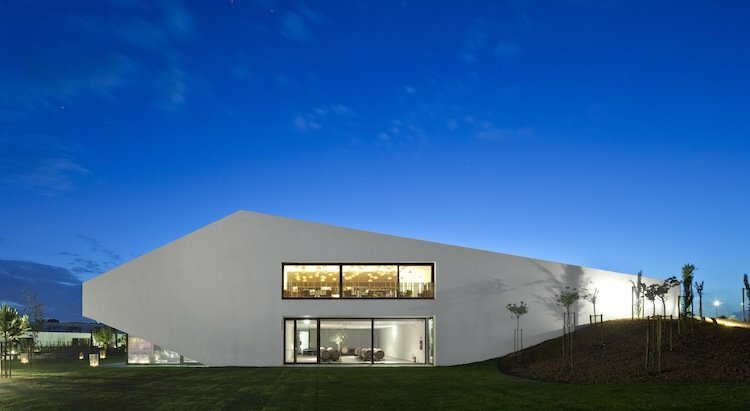 More than a hotel, L'AND Vineyards is an exclusive wine resort set in the heart of Alentejo. From the surrounding vineyards to the wine therapy spa by Caudalie, and the comprehensive wine tasting experiences available to the guests, everything revolves around wine. When it comes to visiting Vinho Verde region, there's no way around the wine produced here. The name alone - which translates to "green wine" - says it all. The wines of Vinho Verde, which is a wine-growing region in north-western Portugal, are usually light, crisp, and have a slight fizz. This naturally clean, fresh, and aromatic wine, so different from any other in the world, owes its unique traits to the features of its terroir. 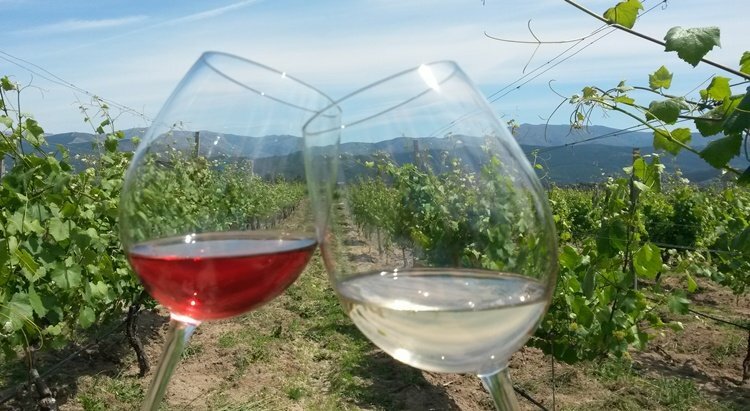 While here, you cannot miss the chance to visit some wineries and sample a (always) well chilled Vinho Verde. Located near Penafiel - and therefore, not far from Porto - Quinta da Aveleda is a beautiful estate, entirely surrounded by incredibly well-kept gardens. So much so that Aveleda was awarded the international Best of Wine Tourism 2011 award, in the “Architecture, Parks and Gardens” category. In a guided tour of the property, you will get to explore the surrounding gardens, as well as the bottling area and old winery, followed by a tasting of regional wines paired with cheese, nuts and chocolate. For a sturdier option, go with the wine tasting with snacks, which pairs some dear Portuguese gastronomic staples with the best-fitted wines. Further into the countryside, you'll find Quinta de Santa Cristina. This estate has been in the same family for several generations and combines the best of the traditional approaches with new experiences. Aside from the usual tour of the winery and cellar, they will be more than happy to show you around the vineyards. 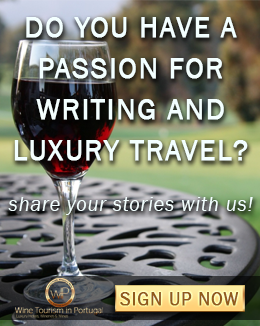 Have a picnic there, or explore the vineyards on a four-wheeler! There is however, one thing you should know about this region - it has far more to offer than its worldly renowned wines, and this wine and cultural tour is here to prove it. Now think about this for a moment: what if you could pair some of these experiences - or all of them for that matter - in one single tour? It probably sounds like a logistical mess, but that's where we come in - helping to create smooth travel experiences. We do all the work, and you enjoy a wonderful vacation!